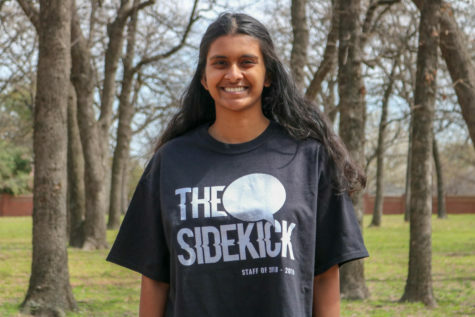 Yesterday, Coppell High School junior Aishwarya Kannan returned the opponent’s shot during her singles match. Coppell played against MacArthur at the CHS tennis center for their first district game, and won 19-0. Yesterday on its home courts, the Coppell varsity tennis team opened its District 6-6A season with a 19-0 win against MacArthur, but what stands out most to Coppell coach Rich Foster is his players’ lack of arrogance during the game. All the players warmed up for however long best suited them, and then started their doubles matches. 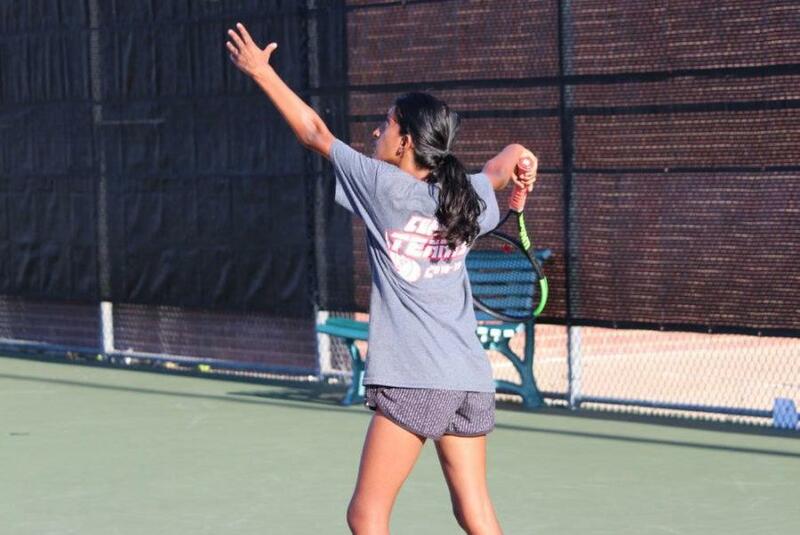 Girls partners junior Aishwarya Kannan and sophomore Rishita Uppuluri won, 8-4; juniors Ruchika Khowala and Rifhat Sindhi, 8-0; Abhirami Krishnamurthy and senior Nisha Ramesh, 8-1. On the boys side, junior Mihiro Suzuki and Andreja Zrnic won their match, 8-4; Clark Parlier and sophomore Matthew Abbey, 8-0; sophomores Kosta Zrnic and Kunal Seetha, 8-0 as well. Although the players took their matches seriously, they did not hesitate to lighten the mood with a few jokes, either. Certain players are known on the team for their unique playing techniques, such as Uppuluri for her backhand slice, a sharp backhand she used several times throughout her matches. After doubles wrapped up, the players moved into singles. Coppell won most of its singles matches 6-0 or 6-1, and the closest singles match was 6-3. Nishino was one of the girls who won her singles match 6-0, but no one would have guessed if they were not watching. Once the tournament concluded, both schools’ teams arranged themselves into two different lines, and each player walked down the line clapping the opposing teams’ players’ hands while saying “good game”, “good job” or something similar — an act of sportsmanship and respect. 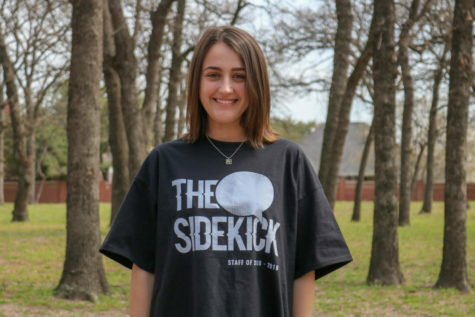 One of the team’s goals is winning district, and their strong win yesterday was a positive step in that direction. They will play Hebron next Tuesday, and are expecting it to be a challenge.